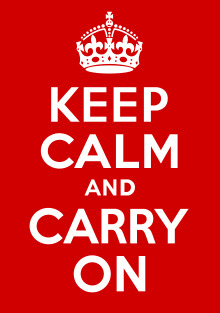 When I teach operational risk courses, I try to stress that life (and business) is full of risks; and that taking risks with confidence moves you forward, whether you are a family or a business firm. I had a chance last weekend see that premise manifest itself exactly. Some of you know that I was born in a small town in Northern Iowa, our family of four part of a larger interwoven group of four Irish Catholic families residing among Scandinavian Protestants. My great-great grandparents had emigrated from Rathkeale a week after being married in 1861. My grandfather ("TJ" Hayes) was born in Illinois, but moved to Iowa, where he farmed, bought and sold horses, and raised seven children with his wife, Anna Quinn. Each of these large moves, from Ireland to Illinois, and from Illinois to Iowa, brought forward momentum and better lives. 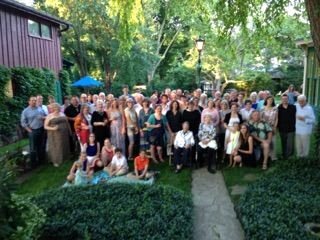 Though TJ's grandchildren and great-grandchildren have scattered to many parts of the world, 80 of them returned to celebrate their history and close connection at my cousin Jim Hayes' amazing home in Iowa City this past weekend. 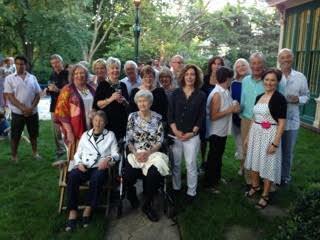 This is the eighth such five year reunion that Jim has hosted, which makes it 40 years old. He spoke movingly of the four families whose lives intertwined from those first days in North Central Iowa: the Hayes family, of which I am a member; the Morrissey family, connected through Jim's father's marriage to Alice Morrissey; the Newman family, connected through my Aunt Teresa's marriage to George Newman; and the Barrett family, connected through Nita Morrissey's marriage to James Barrett. This photo is blurred but will give you an idea of the volume still present of those four families on this earth. There are roughly 80 of us in the photograph. Here's one of the first cousins at the reunion. Again, a blurred photo, but you get the idea. These are relatives I have known my whole life. Each of them has extended the momentum started so many years ago back in Ireland. Finally, for historical context, I wanted to show a circa 1930 photo of TJ and Anna and their children, some of whom had already married by this time. My mother, Margaret Cecelia Hayes Sowers, is sitting fourth from the right in the first row. Her father TJ is sitting front row sixth from the right. My Uncle Jim Hayes, father of host James P. (also Jim) Hayes is first row on the left. Grandma Hayes is middle row, second from the right. I come from generations of risk takers, each finding its own personal rewards in lives well lived. 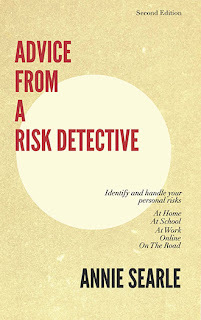 It probably explains to some extent how I ended up at this point in my life as a risk detective and as a university lecturer on ethics, policy, law and risk.